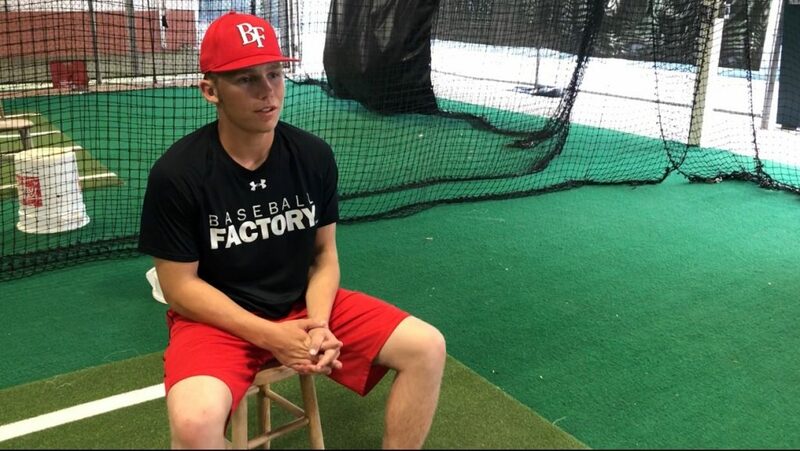 Before he was set to join other players from around the country after being selected to Baseball Factory’s National World Series at Pirate City in early August, Ryan Mackey asked his Player Development Coordinator, Patrick Wuebben, how many other players would be coming from Oklahoma. After learning four others would join him, Ryan said he knew one of the players. “That kid has a mullet,” Mackey told Wuebben. When Wuebben jokingly asked him what he had against mullets, Ryan said nothing, because he too was growing a mullet. Such is the fun-going, hard-working personality of Mackey, a soon-to-be senior at Cement High School in Oklahoma, who is one of only fifteen students in his entire graduating class. More on that mullet: It’s a family tradition in the Mackey household to grow a mullet for senior year of high school, and Ryan has been doing so for the past four months just like his grandpa did when he was a senior. Writers note: I must say, it is coming in rather nice too. Another tradition Ryan would like to continue would be baseball and his absolute love for the game, and the “I will do anything to achieve my dreams” mentality he has. On Cement’s baseball team, he is the ace of the pitching staff and catches, but is willing to play wherever on the field to help his team out. 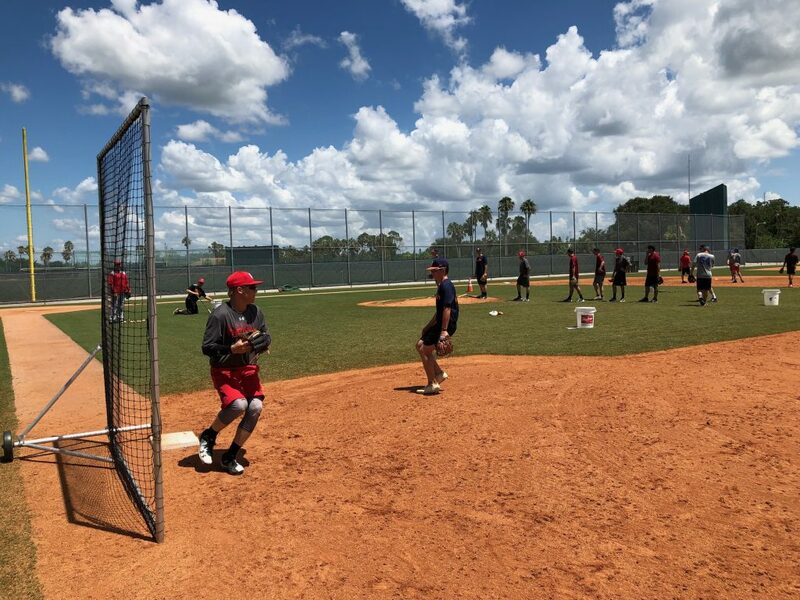 With the love of baseball always present, it’s no surprise his mentality was shown in bright colors off the field as he worked two jobs this summer just to afford to come to Pirate City and attend the Baseball Factory National World Series. Aside from umpiring, Ryan Mackey works with his friend’s Dad, building rig hoses, something he says will continue. Wuebben said he was drawn to Ryan because of the determination shown and of course, his choice in hairstyle. It’s this same mentality that has been forged on the diamond as well. “I’m always impressing upon our players that the two things they can control are, one, giving their coaches their best effort, and two, caring about others in the dugout. Ryan does both of those things,” Wuebben said. 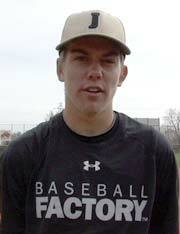 When Ryan was first introduced to the Baseball Factory, he was told it would cost some money, to which he replied, “Money is not an issue, if that is going to help me I want to try out.” And that he did, at his very first Factory National Tryout in Oklahoma City back in March, Mackey was very impressive. Impressive enough, as mentioned before, to be invited to Pirate City. Mackey also says that with that same younger generation whom he umpires for, he is going to bring everything that he has learned with the Baseball Factory back to his town and show them what it is all about. Which is awesome to hear from a kid his age, wanting to better the next generation of players and give them an advantage going forward.